A year before, a term plan insurance for a cover of Rs. 50 lakh for a person aged 25-30 years attracted a premuim of Rs. 12,000. The average cost of such a plan is now Rs. 6,500-7,000. A term insurance policy provides a stated benefit only upon the holder's death, provided the death occurs within the policy period. There will be no stated benefits if the policy holder outlives the policy period. With the Insurance Regulatory and Development Authority cracking a whip on the sale of unit-linked insurance plans, almost all major life insurers have launched a number of new term plans in recent months, to boost their sales and diversify the product portfolio. 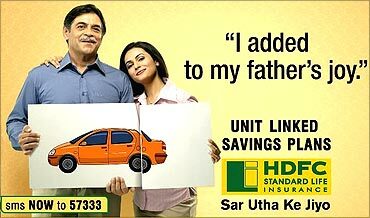 Examples are Aviva Life Shield Platinum, ICICI Prudential iProtect, Kotak e-Term, Kotak e-Preferred Term plan, Met Suraksha Plus, SBI Life Smart Shield and HDFC Term Insurance. Other companies are in the process of doing so, citing reduced cost. 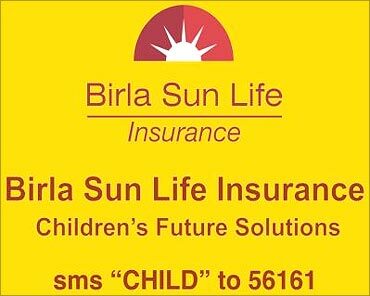 For instance, Birla Sun Life Insurance will be revising its term plan, claiming the new one would cost 30 per cent less. "Most of our term plans were launched 10 years ago, so they have to repriced. Premiums are expected to come down by at least 30 per cent. It will be applicable for the existing customers as well," said Fabien Jeudy, chief actuarial officer. Also, "term plans are increasingly being launched in the online platform, where insurers save on overhead costs. Insurers are passing this savings on to the customers. Term plans are right for the online platform, as it is simple to understand", said T R Ramachandran, MD & CEO, Aviva Life Insurance. "Costs are particularly lower for those who start early. We are seeing an increased interest towards term plans in the 25-30 years population." 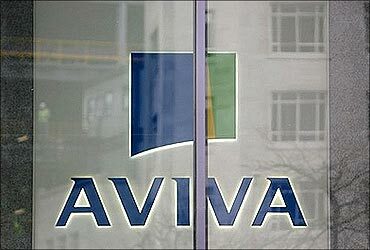 Aviva recently introduced three term plans. Term plans constitute 16 per cent of its overall portfolio and 40 per cent of the traditional portfolio, he said. Another reason for the lower cost is improvement in mortality rates, enabling insurers to issue term policies with longer tenures. "Mortality rates have improved by 10-15 per cent over the past few years. This is helping insurers to underwrite policies with higher tenure. Second, due to the same reason, reinsurance rates have also dropped by 20-25 per cent over the past one year, which is pushing the cost down," said G N Agarwal, Chief Actuary, Future Genereli Life Insurance Co. However, some industry experts believe an overdose of term plans is not ideal, as these address only a part of the risk. "According to statistics, only four of 1,000 policy holders dies during the policy period. There are other risks, apart from the life risks, which a term plan fails to cover. One needs a systemic savings plan and, ideally, term plans should be bundled with other hybrid products," said P Nandagopal, MD & CEO, IndiaFirst Life Insurance.